PR-0.2 is available for download. 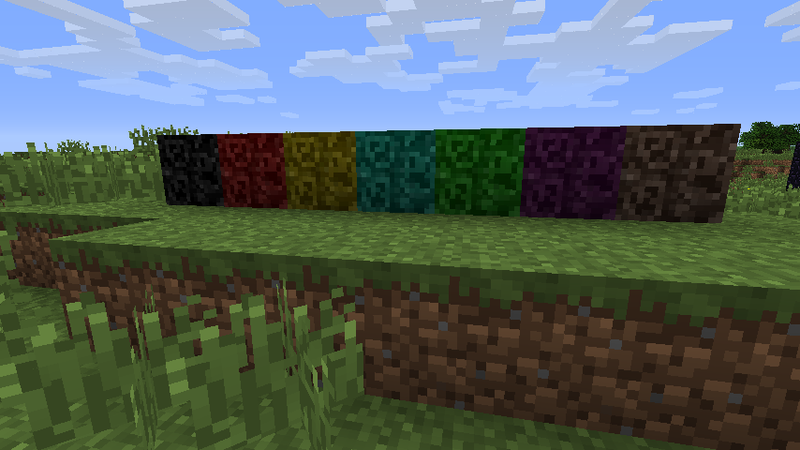 Minecraft version 1.7.10, Forge version 10.13.4.1448. Please download and test what is in the mod so far! Bug reports, feedback, and suggestions are welcome. I will be checking this thread regularly while away so please let me know your thoughts! -install Forge, then add Culture_Craft to your mods folder. - There are a few debugging recipes while I'm still running through adding things. Oak and Spruce saplings craft into Sakura and Kozo saplings respectively, Seeds and Pumpkin Seeds craft into Raw Rice and Rush Seeds, two Sugar Cane vertically craft Bamboo Shoots, and two Dirt blocks vertically craft flood plains. - Flood Plains near water will generate Silt in the rain. 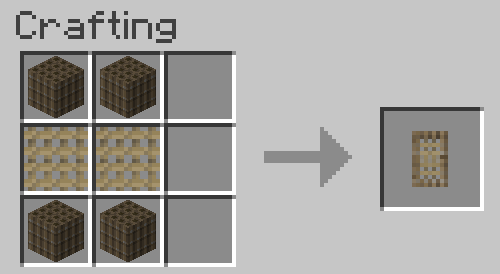 Silt Blocks in world dry into Mud Blocks. - Kozo and Sakura craft into Planks. - Bamboo blocks can be soaked and then dried in the Sakura Crate. A Sakura Crate. It can dry certain objects or soak them - to soak, fill with a water bucket. Soaks Bamboo, Kozo Bark and Raw Rice. Bowl of Rice. Soak Raw Rice then cook in a furnace to get Cooked Rice, then craft. 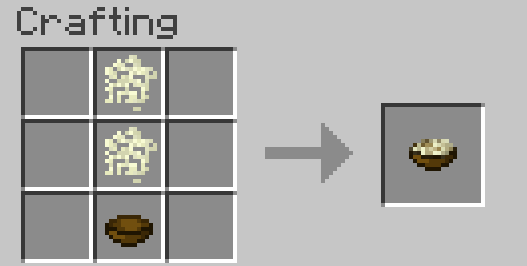 Soak Kozo Bark (obtained by crafting Kozo Planks) in the Sakura Crate, then drop the resulting pulp onto the netted screen to dry. Must be able to see the sun. This will produce Washi. Shoji, which are mildly translucent. Paper lamellar can then be used to craft paper chestplates and legs, or Iron Lamellar to produce a full Samurai Armor set. -Added Rice and Rush plants and items. -Added Shoji, Fusuma, and Tatami. -Added the Flameless Light block. -Added Washi production and required items. -Added Samurai and Paper armor. 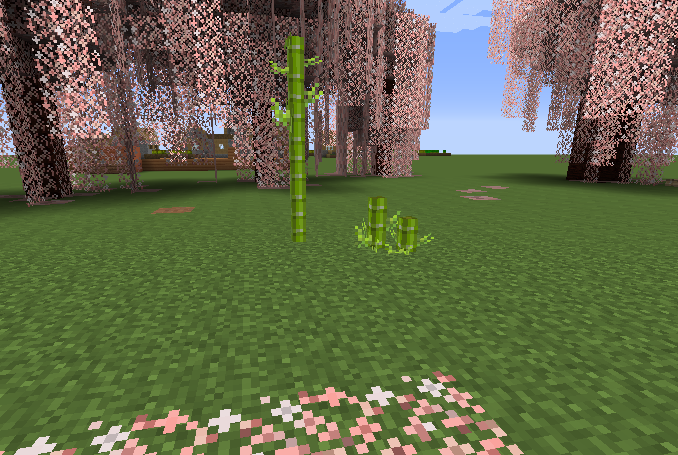 -Added Bamboo Shoots and several variants of Bamboo Block. 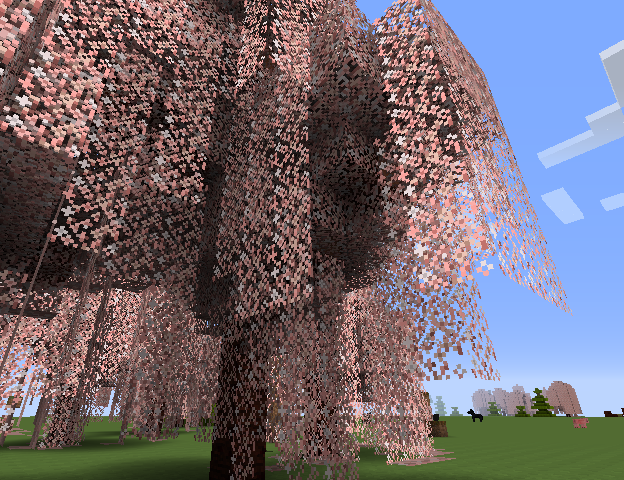 -Added Kozo and Sakura saplings, trees, and wood. 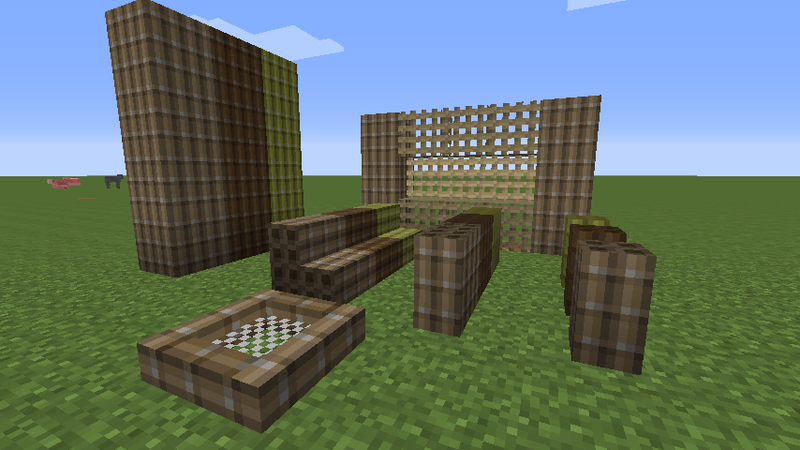 -Added Bamboo Slats, Block of Bamboo Slats, and Bamboo Door. -Added Flood Plains, silt, and two variants of Mud Block. As you may know, this mod was started, halted, and then restarted. Then I disappeared. Between life getting in the way, getting fed up of Minecraft (developmentally and some lower members of the community), and having my computer stolen, I just didn't have the heart to come back to this. But now I'm back! I have restarted - mostly from scratch - development on CultureCraft on the third of August. I will be developing for 1.7.10. I do not like 1.8 at all. I will update with more details soon, but for now here are some screenshots of the first few blocks. If you would honor me with a fragment of your attention, Eriotto-Sama. Please note that I have never actually played Japanese Weapons & Architecture, so my apologies if I come off as redundant. Speaking of ancient hero souls, I would also suggest some mechanic to infuse Asian weapons with the aformentioned souls to increase their power far beyond the limits of the Enchanting system. Perhaps these souls can be contained in Magatamas, or these Magatamas can be used to store enchantments for later use, as opposed to books? Or perhaps we can find Magatamas in the wilderness and in ruins, and use them with Anvils to imbue their contained enchantments to existing weapons for a much more nominal experience cost? Or how about Magatamas that can simply be consumed for experience? 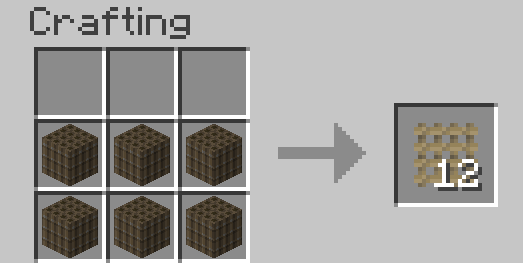 For example, Wooden Magatamas require souls and wood, and are only good for experience consumption, while Diamond Magatamas hold grade X(Level 10) enchantments, and are either found naturally or crafted from Diamonds, and can have their stored enchantment overwritten. And while we're at it, why not make it so straw hats and ceremonial objects are more receptive to enchanting? What if there were special placable scrolls that kept Daemons- err... Zombies at bay? And why not include other scrolls that do other things? Like a scroll that keeps the chunk loaded? Or a scroll that accelerates nearby plant growth and fishing rates? Or one that prevents fire or explosions from erupting? Or a scroll that summons the spirit of Chuck Norris Akechi Mitsuhide or Date Masamune to aid the wielder in defense of the area? The possibilities of a magical warding scroll system would be endless. And lastly, if I can be selfish for a minute, I would also really appreciate the addition of Yukimura Sanada's Spear from Samurai Warriors 3. It's long been my dream to wield such a fabled spear in Minecraft, and simply renaming a Golden Spear is no longer satiating my need for immersion. As for the Egyptians, the Staff of Isis represents progress and growth, and can accelerate nearby plant activity. The Staff of Osiris represents Judgement, and as such, fires bolts of chain lightning to smite enemies. And the Staff of Set represents the animals, and as such, can be used to attract passive mobs. Special culture... mmm, I'm piqued! Wow that's quite a splurge there! Regarding bigger weapons - it's been a long time since I've been able to look at MC code (I certainly haven't had the chance since 1.5) but one thing I've wanted is custom armour and weapon renders and the like. Regarding your other ideas - very interesting stuff, but you're perhaps getting ahead of yourself. There is a lot of information I need to migrate from the JW&A thread, which will take a while (and with deadlines galore at uni, may take longer). Once I've got around to adding a bit more in the way of information on the OP, you'll hopefully see it doesn't all fit with this mod. However, some of the stuff - custom enchant mechanics, for example - are on the list. I think it's a really cool idea, I just hope the cultures are balanced a bit when you get around to it. It'd be cool if each culture had its own kind of specialty. The japanese had an honor system and such while the Norse were more brute force and the Egyptians I think slaves would be cool even if they were just nothing more than reskinned Testificates with no purpose. I am trying to say it would be cool if each culture not only had cool looks but something to draw the player into wanting to test out the stuff from that culture. But yeah, don't worry, each culture has it's own planned focus. Just ... Not quite the way you described (:. Alright guys, might add a bit more to the OP in a min, still won't be everything, though! Haha it's fine! I just like suggesting things to help people's creative flow get going. I speak my mind so I may pop up every now and then with suggestions that might make you think of something cool. If you use MultiMC, I definitely suggest you fire up a 1.2.5 instance and play around with JW&A so you get a feel for how Eritotto does things and a good idea of how he'll approach CC. Noticed in the updated OP you mentioned the Jack O' Souls, and that the cultural infuser had a jack o' lantern texture in the pic but won't in the actual mod. Are you definitely keeping the Jack O' Souls as the soul storage? The do look a bit... ridiculous. I recall you made some culture storage blocks that you didn't like much. 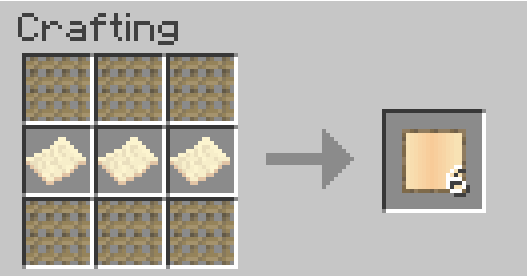 How about simply having soulsand that turns into a softish color of the culture in question? I can't remember if that was thrown your way. It's been so long but if I remember right, soulsand turned red for JW&A and I liked that a lot. I started doing that today, MultiMC is helpful for old things like that and since I watched a video on this stuff forever ago I really wanted to see more. I liked the whole patience thing for JW&A and wanted to see it first hand. The Ancestral Infuser using the wrong texture is irrelevant - the main base of it will be similar to the old one, and the floating "orb" will hopefully be a bit cooler. The one I scrapped completely, I have no screenshots of, I don't want to go down that route, &c &c.
In the below spoiler, you can see the JW&A method of just soulsand, and the result of what happens if you go crazy with bottled souls in the Nether. I could tone back the colour distinction of them, but the fact still remains: If it is just soulsand - and the souls are attracted to it - you end up with madness. Pumpkins aren't in abundance. To have a fair amount, you need to grow them. It isn't hard to do, but it isn't done very often. Pumpkins in MC have a magical nature. They create snow and iron golems. There is obviously some strangeness going on with them. You stuff the pumpkins full of soul sand and chuck culture at them. So it's harking back to the JW&A way. Pumpkins have a facing direction. As you might see in the screenshot of them around the infuser in the OP, they are all facing it. If they aren't facing it, it won't work. There is also little reason to have that many Jack O' Souls around an infuser, that was a test to make sure that everything in the (rather large) range works for calculating and deducting the correct type of spirit when crafting. They are also intended as a low-level storage system. Further up, there will be culture specific systems for storage. If you still don't like the Jack-O'-Souls, please, tell me what it is you don't like. 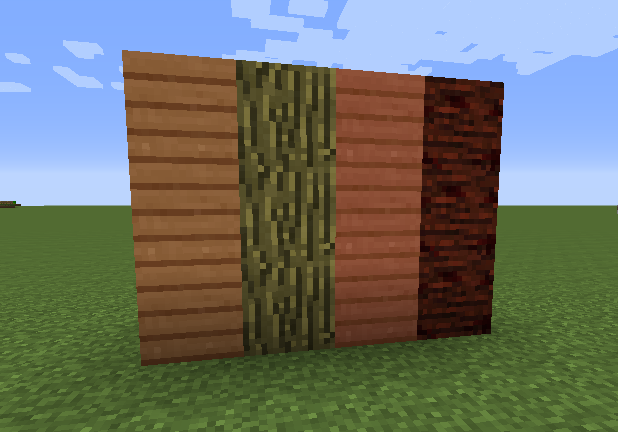 If it's purely a visual thing, then I'll give them more time on the textures side of things. Textures are the only thing I can really work on now anyway :P.
I've only gotten a house and a bit of iron but I just wanted to say I like the whole karate zombie thing. While it has some silliness it also helps people prepare before they get the needed materials to progress through the infuser. I was wondering if you had any plans for mobs that help advancements in certain cultures? I saw in the beginning of the JW&A forum that you didn't even want mobs then. Any plans for this or is that a big secret? There's a fine line between "some silliness" and "too much silliness", and that line is different for everyone - but being close to that line is something that I feel vMC does well and is part of the charm of the game (or at least, use to do well - but now is not the time nor the place). I have to ask, have you had much fun with the evolution side of things? The code for that is rather poor, as it was probably the first piece of entirely custom code I wrote (ever, in my life!). I either finished, or was near to finish, rewriting it when my computer decided it didn't like me anymore, so the whole process should be smother and better tiered in CC. Just, stay clear from BlackBelts until you have some good armour (:. And out of interest, what is it that gives it "some silliness" to your mind? I'm not keen on the idea of adding many mobs due to the fact they would be expected to drop some of the items. Where my problem was (and still is) that I don't want you to be able to go hunting mobs to get my armour/weapons, as that sort of thing destroys the point of having to work hard for it. There's a secret involving mobs, but I can answer your question without giving it away. There will be (as laid out in the OP) 'tiered' mobs (Oopa, karate-zombie-style) for each culture, and the soul collection method will [probably] be the same as JW&A. But there will also be other, very powerful mobs which you will be required to summon to access certain things which I have planned for the future. It might just be me, but a Samurai Zombie sounds less silly than a Karate Zombie. I'm not saying I disliked the silliness. I really enjoyed it. I just thought the whole Karate Zombie thing was a silly thing that made the mod a lot more enjoyable. I've collected enough diamonds to make a pick axe (completed) and now an enchantment table, I plan on going to the nether for the soulsand I will need. I have a lot of spirit bottles due to fighting some karate zombies at my door and in the depths of Minecraftia. I'm really excited to get to the meat of the mod. Yes, but samurai zombies would be expected to drop their equipment. No, I know you didn't dislike it, I was just making a general comment :P. Ahh cool, enjoy! If the armor looked beat up and shredded, I wouldn't expect it to drop. 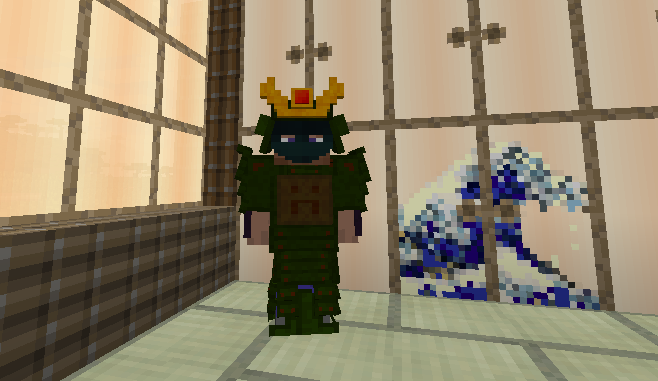 That being said, I blame Mojang for even making mobs drop their armor in the first place. Meh, still prefer KarateZombies ;). 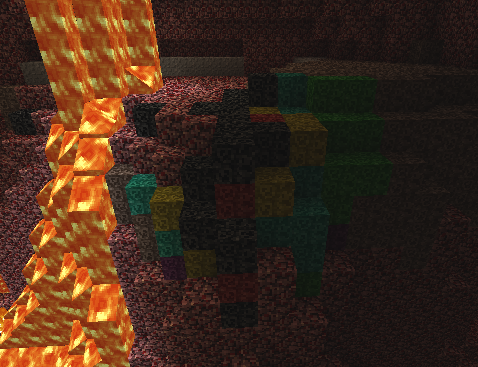 I blame Mojang for lots of things, but that's not one of them! I think it'd be cool if each culture had a few different mobs to collect spirit from. Maybe even doing certain things with that culture's items could make more spirit of that culture. Because I know not everyone likes to go around fighting mobs. Maybe have something that takes like 10-15 minutes at least to make give 1 spirit off and if the person has a free bottle they could collect it? I think it'd urge them to choose between fighting mobs to get it quicker or doing it with patience and slowly gather it over time. If you still don't like the Jack-O'-Souls, please, tell me what it is you don't like. If it's purely a visual thing, then I'll give them more time on the textures side of things. Textures are the only thing I can really work on now anyway . Yup, it's purely a visual thing, and entirely subjective. I think Jack o' Lanterns in general in Minecraft look ridiculous. You elaborated very well how you thought it fit within the spirit of Minecraft though, so I can see where your thought process was going. And yup, those were the pics I was thinking of, although I thought you also had tested out some cube-like blocks that you REALLY didn't like. It's been too long to remember accurately though. Interesting concept. I never had a problem whacking karate zombies, and I like the "oops" mechanic involved with fighting them if you're not careful.